South Floral Park’s village government body is composed of a Mayor and four Village Trustees. Each is elected to a four-year term. The terms are staggered and elections are held every two years. Each year, the Mayor appoints a Deputy Mayor, and appoints one Trustee to each of the following posts: Police Commissioner, Highway Commissioner, Fire Commissioner, and Power and Light/Emergency Management Commissioner. The day-to-day operations of the Village are run by a Village Administrator and Deputy Clerk-Treasurer. Each month, the Commissioners deliver their reports to the Mayor at the Village Board meeting. These meetings are open to the public and held every month on the first Thursday at 8:00 pm at the Village Hall. Residents are always encouraged to attend and get involved in important community gatherings that directly affect them. It is an opportunity for all residents to find out what is going on in the village as well as an opportunity to let the Mayor and the Board know of any concerns they may have. You may email any questions or concerns to info@southfloralpark.org. 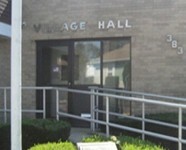 The village hall is located at 383 Roquette Avenue, South Floral Park, NY 11001. The telephone number is (516) 352-8047 and the fax number is (516) 352-0651.